HALIFAX -- Environment Canada is warning of significant rainfall in parts of the Atlantic provinces and the potential for localized flooding. Rainfall warnings are in effect in southern areas of Nova Scotia, New Brunswick and Newfoundland. Forecasters say up to 50 millimetres of rain could fall along Nova Scotia's south coast by Friday. They say there's also the possibility of rain changing over to ice pellets, freezing rain and snow Friday as temperatures drop. 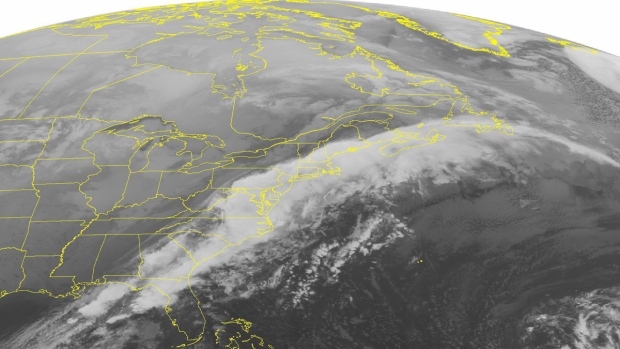 The weather agency has also issued special weather statements for the four Atlantic provinces, warning of a potential snowstorm beginning Friday. However, forecasters say it's too early to predict the track of the storm or speculate on snowfall amounts.